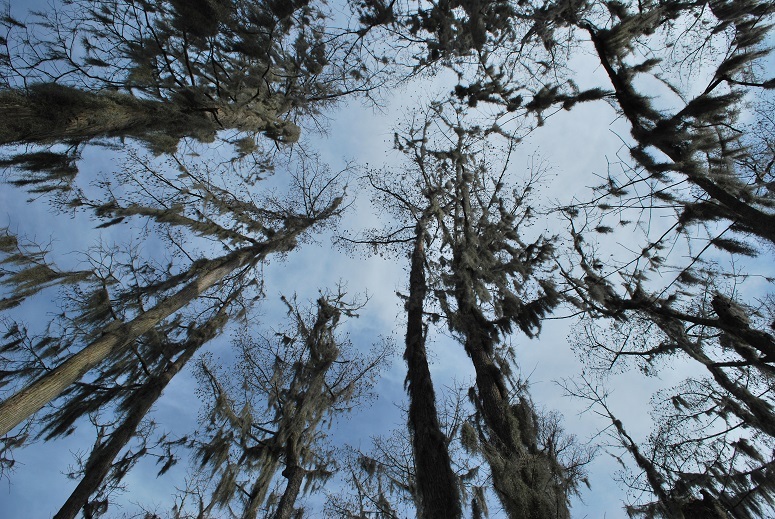 Spanish moss haunt the trees in this Louisiana bayou. The Bar None Group literary roadtrip now heads east from Texas to Louisiana. Bridging the two states is Emma Wilson Emery. A native of Texas, Emery was the first Poet Laureate of Louisiana in 1942. A post she held until her death in 1970. Her best known poem Lovely Louisiana was once set to music by Oscar J. Fox — a "composer of cowboy songs." Still pray to God through His loving grace. In discovering Emma Wilson Emery and her poetry the Bar None Group was surprised that information on Emery was hard to come by and at best repetitive and derivative. The Louisiana Historical Association has the most comprehensive online biography of Emery and it is a scant 20 line paragraph of commas and semi-colons. Conversely, the Emma Wilson Emery Papers at Louisiana State University consists of 287 items that "include copies of published poems and articles, newspaper clippings pertaining to her literary and social activities, photographs, and two scrapbooks containing poetry and other writings." Most sources have Emma Wilson Emery as the author of three books: Velvet Shadow (1934), Bleeding Heart and Rue (1937) and Aunt Puss and Others. The Bar None Group has also discovered Songs of Victory: Verses Old and New from 1944 attributed to her. As Women's History Month draws to a close it is worth noting that this incredible figure of American arts and letters seems to have been forgotten with the passage of time.